Today I share with you another holiday card. I joined CottageCutz Christmas ornaments dies and Peachy Keen winter faces stamps. Trim patterned paper in appropriate size. 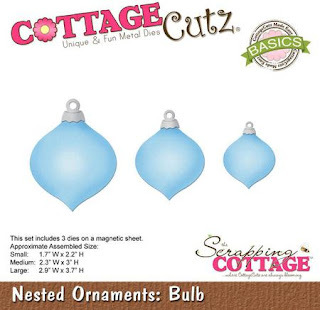 With the 2nd bulb ornament die cut out two ornaments and two golden tops of ornaments. 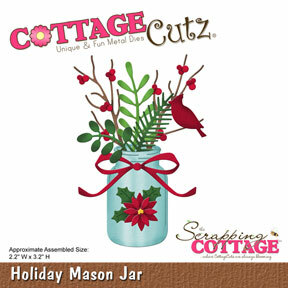 Cut out golden bows with the holiday mason jar die. Also cut two ornaments from a golden paper, slightly smaller than the size of holes in the patterned paper. 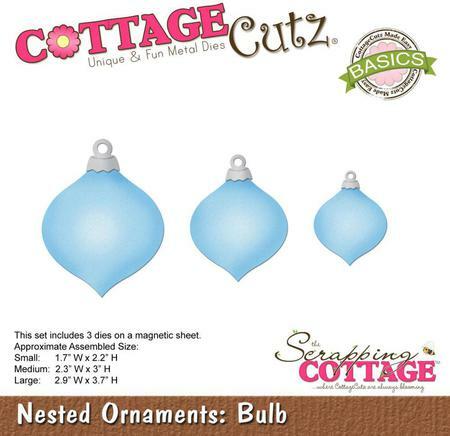 First cut half ornament, slightly move the die and then cut out the other half. Use only negatives. Glue them to the back side of patterned paper. Stamp "Believe in the magic" and with an embossing folder create snow background. On watercolor paper draw the edges of ornaments with a pencil and stamp cute faces. 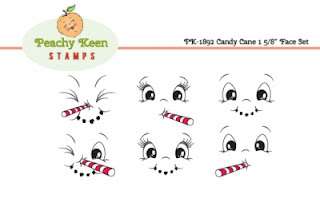 Use Peachy Keen face stamps 1 5/8th inch sets: ornament and candy cane. Paint faces. I used Distress and Memento inks. After completion of painting, erase pencil silhouette and attach watercolor paper to the back of patterned paper. Add golden pieces and the card is completed. 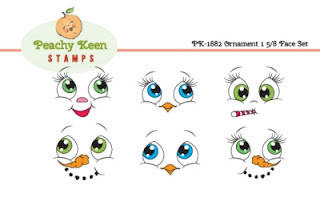 Use remained ornaments for tags. We can decorate gifts under the Christmas tree with them. Really adorable! The faces are so cute. Such adorable faces. I loved this card.